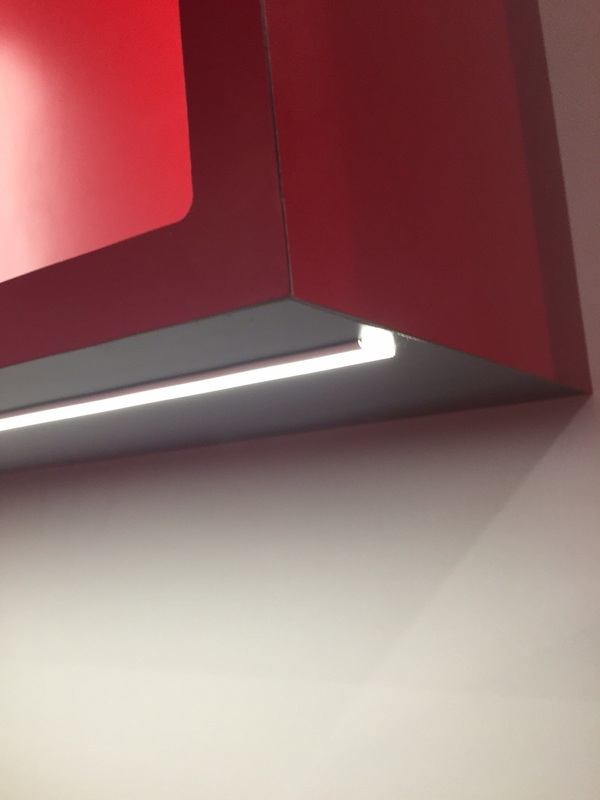 Below are photos and short descriptions of some of my favorite new and innovative products from KBIS 2015. Held annually, this show is a great way for manufacturers and service providers to connect with designers and other industry pros. The show provides quite a bit of inspiration for me. The ideas I see here often translate into new and innovative concepts and I look forward to translating what I've found into tangible designs for my customers. The theme that runs through this year's show is integration of technology into the home. Touchless plumbing fixtures, home automation systems, countertops that charge mobile devices, new manufacturing techniques, and integrated smart lighting are just a few of the ways that manufacturers are changing the way we live in and use our homes. It's certainly an exciting time to be remodeling or building.